The next big update for the Xbox One is out today and there’s quite a bit to look forward to. 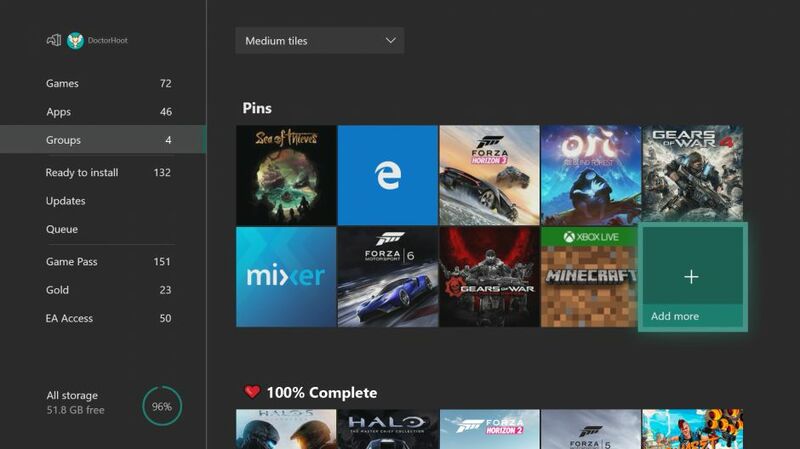 Xbox Wire details many of the new features arriving, including the likes of FastStart. This is a feature that allows for playing games twice as fast by prioritizing the necessary files first. However, it seems to be available for select titles only for now. Other features include creating Groups for apps and games to easily organize and access them on the home page. Groups are also tied to one’s Xbox Live profile. Log in to a new Xbox One and your Groups will be automatically synced and ready to go. Content searching can also be done by hitting the Y button in the dashboard, thus allowing for launching content, going through the Store, and much more. Full screen broadcasting through Mixer has also been added, along with improvements to broadcast video quality. You can also expect better performance when streaming exceptionally hefty gameplay. The update will be available to download later today, so stay tuned.